Welcome home! 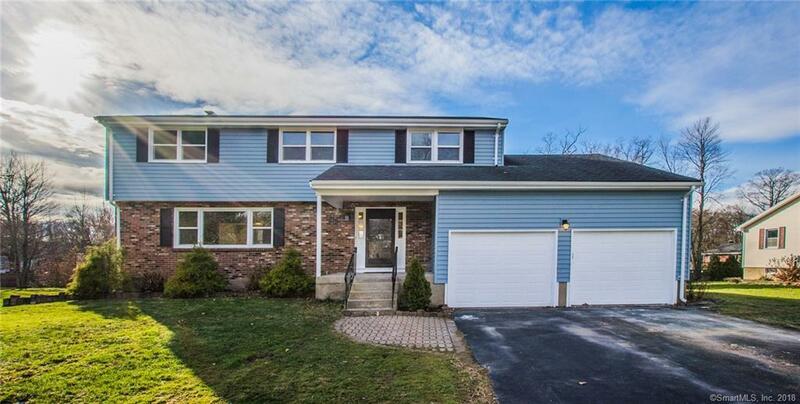 Wait until you see this renovated 4 bedroom, 2.1 bath colonial!!! Features beautiful multi tone floors to add such contrast and character to this beautiful home. Why be cookie cutter when you can have something that is a statement piece? Dare to be different! Kitchen fully renovated with dove tailed cabinetry, self closers, a beautiful farmers sink that is to die for, granite counters, tile backsplash, stainless steel appliances, eat-in breakfast nook area, and pantry. Huge family room with shiplap fireplace and slider to your two tiered deck. Spacious bedrooms and master with it's own private bath. Just needs your touches....updates include new hot water heater, windows, newer ac unit, and roof. Freshly painted exterior as well! The list goes on and on. Motivated seller!, New town card is uploaded under attachments. Previous owner was getting a tax break due to the water in the basement prior to them installing the sump pump. Current owners have left the basement as-is and have not found water in the basement since they purchased and as you know we have rain falls that are of record last year. The town came out to inspect the house and the basement. They modified the terminology on the town card but since there is a sump pump in place they would no pull it completely. taxes are subject to go up due to all of the updates. This will not take affect until 2019.